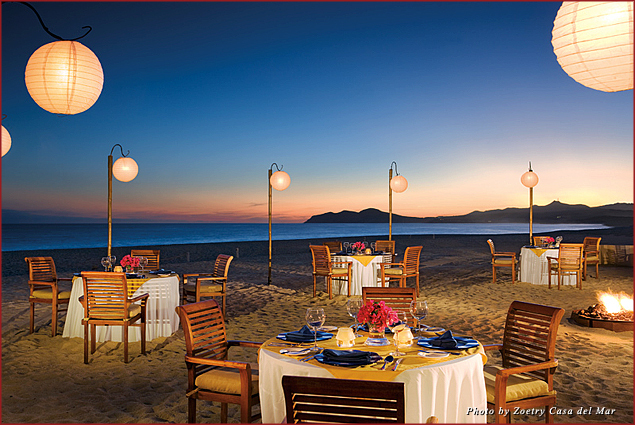 We all love idyllic locations, enchanting paradise, blue waters, and warm sand paired with deliciously healthy food. 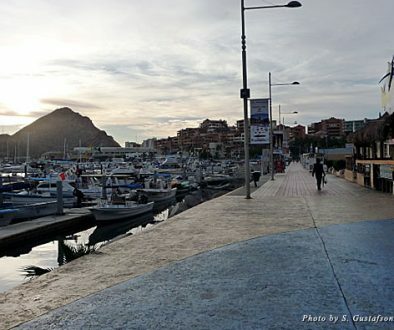 We think we found another hidden gem for you. 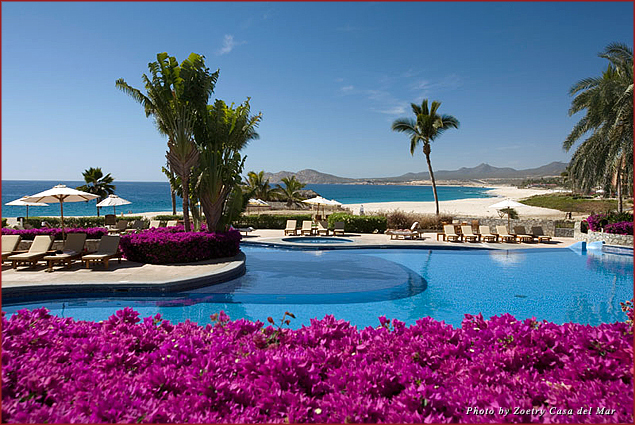 Set along a jaw-dropping landscape where pristine white sand meets clear blue sea, Zoetry Casa del Mar, Cabo San Lucas is our new discovery. We arrived at Zoetry Casa del Mar on a balmy afternoon. We instantly felt drawn to the simple and authentic beauty of the Mexican hacienda with its cobbled courtyards, tiled fountains, and colorful splashes of deep-purple bougainvillea. 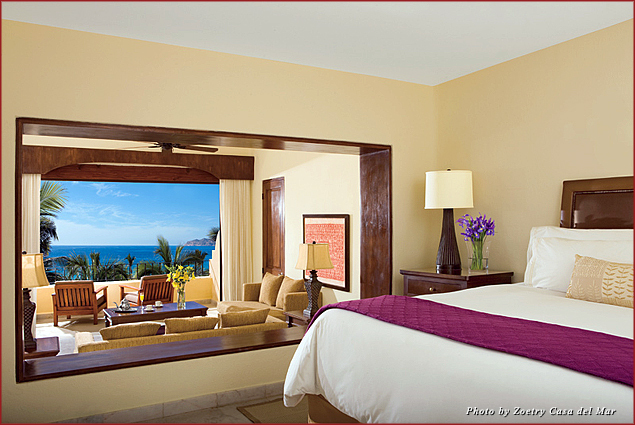 Our luxurious ocean-view suite with private terrace overlooking the bluest sea awaited us. The room’s crispy-white interior spoke of elegance. We settled into our room and ventured downstairs. The boutique resort is luxuriously all-inclusive. Guests are welcomed with a relaxing 20-minute spa treatment and a complimentary 20-minute wellness consultation. Zoetry Casa del Mar’s endless privileges include 24-hour in-suite private dining, daily refreshed mini bar, complimentary cocktails, specialty beverages, afternoon tea time, maid service three times each day, local handmade beach tote, a bottle of sparkling wine and basket of fresh fruits daily, a welcome bottle of tequila, and complimentary unlimited worldwide calls. Zoetry is part of the Greener Cabo trend and is working on its Rain Forest Alliance certification. Some of the innovations include all-organic food, natural and organic spa products from Natura Bisse, organic cotton sheets, eco-friendly detergents, composting and recycling in the kitchen, and water-wise landscaping. 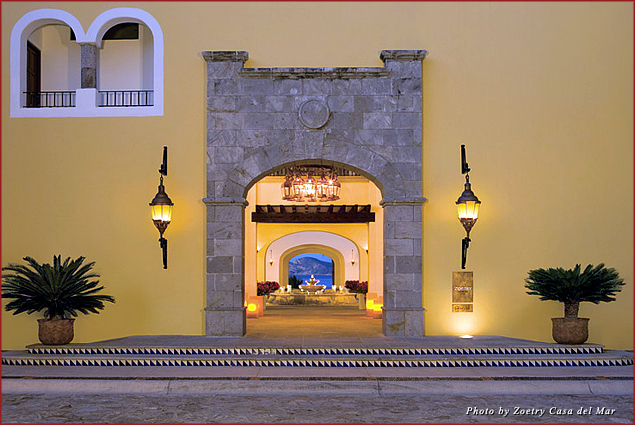 Executive Chef Manuel De Luca heads the three gourmet restaurants at Zoetry Casa del Mar. 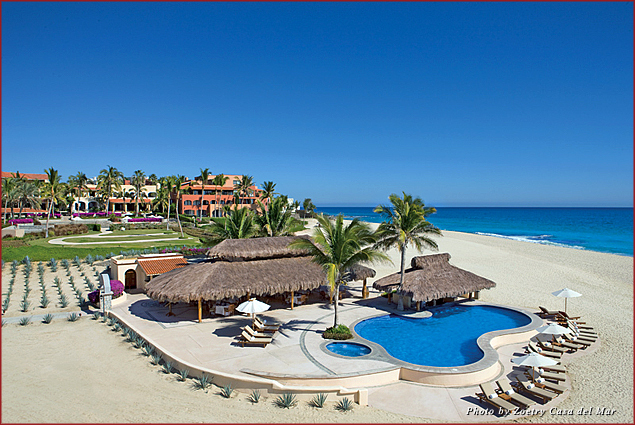 Guests can enjoy traditional Mexican cuisine and coastal cuisine at the pool bar, or savor gourmet food at the beach club. 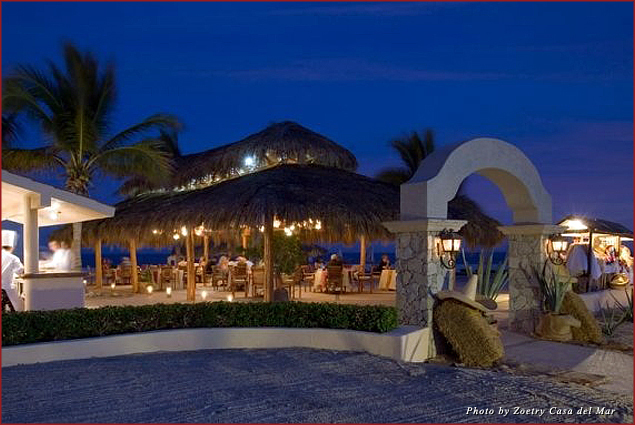 At night guest can sink their toes into the warm sand and enjoy a romantic meal on the beach at Mezquite. 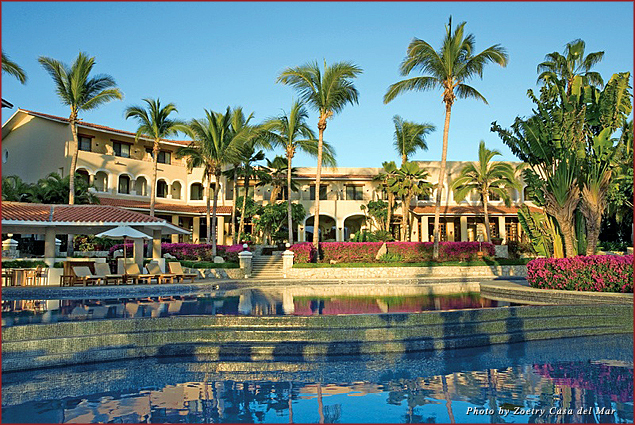 The Zoetry Casa del Mar spa is a blissful sanctuary and offers all natural face and body treatments. Ask for the Diamond Magnetic body treatment. With feather-soft strokes, your body will be exfoliated using a luminous mud made of diamond dust. The mud is removed with an electromagnetic massage known to relieve tension and provide a natural glow and a restful sensation. With endless privileges and an enchanting location, it would be difficult to find a more idyllic resort for a romantic getaway or honeymoon.